What Does It Mean To Become A Seeker? The more I read about CURIOSITY, the more I am convinced it is the number one attribute required for long-term, future-proofed success. We live in times of great tumult – we must be agile, and what better preparation for aggressive, ongoing change than a willingness to discover? 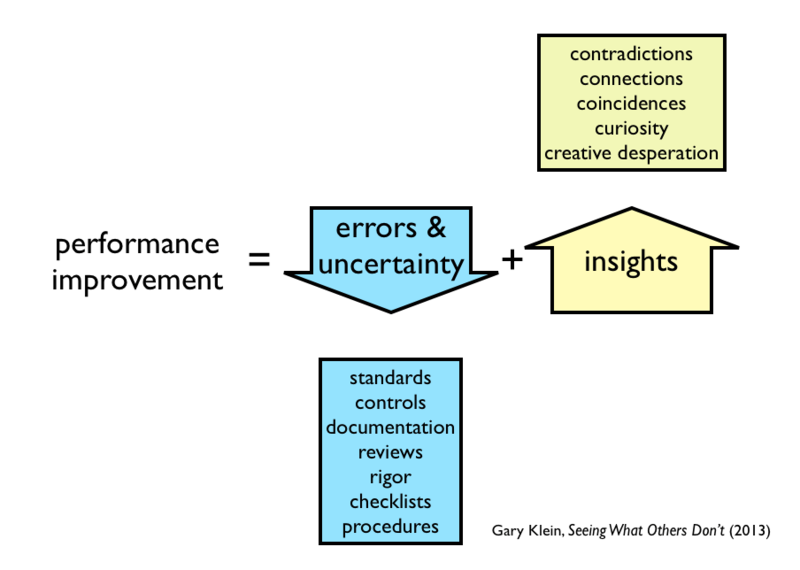 The ever-impeccable Harald Jarche talks about Gary Klein’s new book Seeing What Others Don’t, how so much of work is focused on removal of error and uncertainty – the process of packing away, hiding, locking down. Insight, however, comes from that willingness to test, to discover, to seek. “Soon the child’s clear eye is clouded over by ideas and opinions, preconceptions, and abstractions. YES. To be a seeker is to uncover, discover, REDISCOVER all that is magical in our world; to be curious for what might be; to be ready for the future. ← How Many Kids Have The Curiosity Gene?